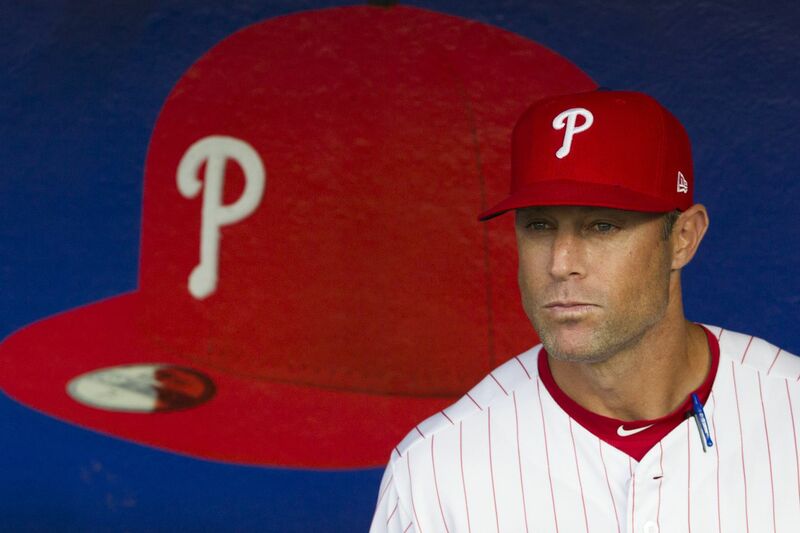 Gabe Kapler was director of player development for the Dodgers before he took over as the Phillies’ general manager. A federal grand jury is investigating the backchannel practices used by Major League Baseball franchises to acquire talent from Latin America, according to a report by Sports Illustrated. One of the teams being investigated is the Los Angeles Dodgers, who employed Phillies manager Gabe Kapler as their director of player development from 2014 to 2017. A player development director usually oversees the minor league system, so it's unclear how much involvement — if any — Kapler would have had with the signing of international free agents. Kapler could not be reached for comment. "The Phillies have not been contacted by authorities connected with the investigation. Should we receive any inquiries, we intend to fully cooperate. We will have no further public comment while the investigation is ongoing," the team said in a statement. The Department of Justice is looking into the recruitment of players from Latin America. Violations are reportedly centered around the Foreign Corrupt Practices Act, which makes it illegal to offer bribes to foreign officials and use corrupt methods to "obtain or retain business." Major-league teams rely on a complicated and messy network to find talent in Latin America and ensure their prospects — "particularly players from Cuba," according to SI — make it to the United States eligible to play. Sports Illustrated obtained evidence the FBI received during spring training last year. The video, photos, visa and passport documents, and internal club emails are part of the information that "largely persuaded" the bureau to begin an investigation. The report says victims of the human smuggling and trafficking operations involved have already testified before a grand jury or spoken to law enforcement officials. One piece of evidence obtained by Sports Illustrated was a chart created in 2015 by Dodgers executives that ranks their Latin American employees on a scale to measure their "level of egregious behavior." They ranked 15 people on a five-point scale. A person ranked as 1 was considered "mostly just an innocent bystander." A 2 ranking was considered "generally aware of shady dealings. Someone ranked as 3 "facilitates shadiness" and "has deliberately misled the organization." A person ranked as a 4 would be someone who "coordinates and manages deals." A 5 ranking was considered "criminal." Five employees received this rating, with notes saying those people "oversee the operation — people and money." In addition to the chart, the evidence alleges altered documents, a "mafia" involved in Dodgers operations in Venezuela and the Caribbean, and that the team tried to avoid federal immigration laws while trying to land Cuban players. Last week, Yahoo Sports reported that a federal grand jury had issued subpoenas "to club officials and other personnel." Most notably, Yahoo's sources said investigators are looking into the signing of outfielder Hector Olivera in 2015. Olivera, who is from Cuba, agreed to a $62.5 million contract with the Dodgers, who later traded him to the Braves. Subpoenas have already been issued to "at least one former Atlanta Braves official" and "multiple witnesses have agreed to cooperate with the investigation," according to Yahoo. One Cuban player's story is well known and well documented after he became involved in a lawsuit. Dodgers outfielder Yasiel Puig was caught in the middle of a human smuggling ring when he defected from Cuba in 2012 and traveled to Mexico so he could emigrate to the U.S. He made his MLB debut in June 2013. Neither Kapler nor the Dodgers' president of baseball operations, Andrew Friedman, responded to SI's requests for comment. The Dodgers are referring all questions to an outside counsel who works in "white collar and government investigations." As Yahoo noted, the MLB has given "tacit acknowledgement" that teams are involved in shady dealings in Latin America. Last year, the league banned former Braves general manager John Coppolella for life and voided the contracts of 13 Atlanta prospects after an MLB investigation found the team had dodged international signing rules and funneled extra money to players. The Red Sox were penalized for similar but less severe violations in 2016. What's next? A top baseball official told SI that the league expected an investigation, "but we didn't know it was a DOJ matter. I don't want to speculate, but, yeah, this could get interesting."